Microsoft is asking developers to come up with virtual reality apps and content via a contest for a free cardboard kit for attendees of a Russia-based hackathon on 17 October. According to a leaked promo image, the Microsoft VR Kit will be given to any applicant with "successful" suggestions. The kit, which is similar to Google Cardboard, allows you to slide your smartphone into the viewfinder in order to see virtual reality content. The original page where the contest was posted is currently offline, suggesting that it is possible the information was accidentally leaked. There is no official information about the event. We were unable to confirm whether this VR kit will be compatible with a variety of devices, or if it is exclusive to Lumia. We also don't know if Microsoft is launching its own platform and what this will be called though the fact it could be holding a competition suggests that's the plan. A screen grab of the promotion found by Thurrott notes that the VR Kit will give developers access to readymade tools and code templates to create content for virtual reality. Categories for developers include corporate apps, games, and education. 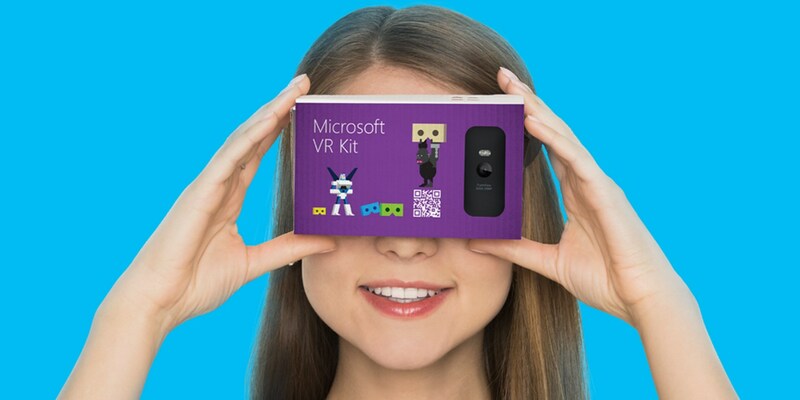 Although the Microsoft VR Kit appears to currently only be available to developers, it is possible that the company will launch its cardboard kit to the public once there is enough content to make it worthwhile for Windows Phone owners. It is also possible that Microsoft has plans to invest in virtual reality hardware sometime in the future. Currently, the company has been focusing on augmented reality with the HoloLens. However, VR is getting a lot of attention and it would make sense for Microsoft to avoid putting all of its eggs in one basket. We should know more about this exciting new kit once Microsoft confirms the hackathon event.